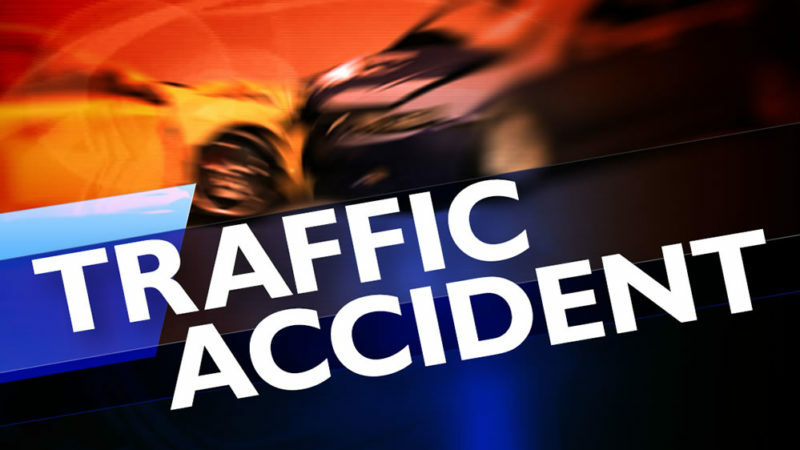 UPDATE 1/31/2019: On Wednesday, January 30, 2019, at approximately 6:20 p.m., Charles County Sheriff’s Office and Troopers from the Maryland State Police La Plata Barrack responded for a report of a motor vehicle collision involving two vehicles on eastbound Maryland Route 6 in the area of Rollins Court in La Plata. Due to the circumstances, the Maryland State Police CRASH Team responded to assume the investigation. 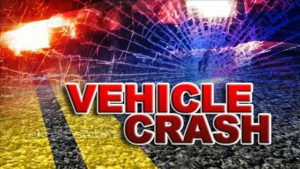 A preliminary investigation conducted by Troopers from the MSP CRASH Team indicates a 2017 Buick Regal operated by Chesequa Brown, 37, of La Plata, and occupied by an adult female (name being withheld pending notification of next of kin) and two juveniles 1, and 4, were traveling on westbound Maryland Route 6 in the area of Rollins Court in La Plata. At the same time, a 2011 Nissan Murano operated by Lisa Creason, 59, of Lexington Park, was traveling on eastbound Maryland Route 6. For unknown reasons, the Buick crossed the center line and collided head on with the Nissan. Everyone involved were flown to local trauma centers for treatment. Corporal J. Zimmerman of the Maryland State Police CRASH Team. 1/30/2019: On Wednesday, January 30, 2019, at approximately 6:20 p.m., police fire and rescue personnel responded to the area of Charles Street and Rollins Court in La Plata, for the motor vehicle accident reported serious. Crews arrived on scene to find two vehicles in a head-on style collision. First responders found a driver and 2 children, approximately 18 months old and the other 4 or 5-years-old unconscious. The second vehicle had one person trapped. Firefighters requested 3 helicopters to respond to the scene to assist in transporting priority patients. The patients were flown by Maryland State Police Helicopter Trooper 2 ( two adults), Trooper 7 (two pediatric), and United States Park Police Eagle 2 (one adult), to area trauma centers. Maryland Route 6 at Charles Street and Rollins Court will be shut down for an extended period of time. This entry was posted on January 30, 2019 at 7:25 pm and is filed under All News, Charles News, County, Good News, Law Enforcement, Top News, z 600X120 Top Ad Bottom, z 600X120 Top Ad Top. You can follow any responses to this entry through the RSS 2.0 feed. Pictures please… pretty bad accident for a 35mph section. Please … NO pictures, as a courtesy to the family . Why even report it! It’s just too upsetting. We need to stop printing information that may upset people. Nah, just some Scared Straight for ya! Scared? Say ya scared! Having lived at that location for 32 years, I can attest that there are very few, if any, vehicles traveling 35mph in that area. Ok? It’s a head on collision. Even if both were doing 35 at the time of impact that’s like hitting a solid brick wall going 70, smart one. Not at all a brick wall doesn’t move. Just because it is a 35 mph section, doesn’t mean people drive at 35….and you want to see pictures? It’s not a 35 zone. It is a 50 mph zone that turns into 45 further west. If both cars are traveling 50, you get impact of 100. Nobody wants to see pictures except you. Who wants to see an accident where little kids are hurt? Who does the speed limit anymore? Too many people get killed or seriously injured on route 6. Too many to count over the years. Whats wrong with wanting to see pictures snowflake?Its news. Decon Tross thinks it’s okay to post deadly pictures. Its called real life,deal with it.You wimpy democrats dont know how to deal with reality. No you snowflakes want to control what people see and read. You need to control your grammar. How about you respect the family and go find something else to do!!! Why because the driver was on drugs and had her kids in the car… oh wait EMS had to use narcan to revive her… maybe she should of thought about her kids before getting behind the wheel…. how about that…. Great! Take your own advice, we’ll be just fine without your pansy azz chiming in. Next! Sad part about this whole situation…… the driver that caused this accident was under the influence…. EMS had to use narcan on her… so yes let’s post the pictures and show everyone what happens when you choose drugs. Did both adults have to have Narcan administered? And do we know the condition of everyone that was in the accident at this time? People know the truth..no point in hiding behind it. Drugs are a bad thing and even worse when you choose to get behind the wheel with kids in your vehicle and put EVERYONE in danger. Goes to show addicts will always put drugs first, even before their own kids.